Adult & Children's Cricket Coaching Classes Sydney. All ages & levels. What is the best age to start private coaching? Players who receive expert coaching improve their enjoyment and understanding of cricket. When players improve their skills they also perform better in games. Generally, the younger a player is taught the correct technique the less chance of developing poor habits. Private coaching benefits five year olds through to experienced players. Do you only cater for young players? Geoff’s programs cater for cricketers first starting to play the game through to experienced players. All ages, experience and skill levels are catered for. What time of the year is private coaching recommended? Private coaching continues throughout the year to assist players to learn correct techniques and identify weaknesses and work at rectifying them. There are three phases to a cricket season: offseason, preseason and inseason. Players attend private coaching for a variety of reasons. Offseason is a time to work on technical weaknesses in your game. It is important to review your season and identify the areas for improvement. This is the best time to modify technique and develop skills while other players are involved in winter activities you are getting a head start for the coming season. Preseason is the phase when you work on cricket specific fitness, further develop your skills and technique for the coming season. Inseason is the competitive phase when the fun begins and you start playing cricket. Development of mental strategies, specific game fitness and training are vital to playing well. Coaching is important in this phase to assist players enjoy their cricket perform to their potential. Where can I receive private cricket coaching? The coach to player ratio depends on the program chosen but is generally 1 coach for 2 players. When do applications close for the clinics? We accept applications up to the first day of the clinics and no child is refused a place. We have a bank of qualified coaches on a reserve roster to call on to accommodate late enrolments. How old are players at the school holiday cricket clinics? How are players grouped for the sports clinics? Players are grouped according to age. If you are coming with a friend, we will put you in the same group provided you are similar in age. On occasion players are moved once their experience has been assessed. This only occurs to give the player a group placement aimed at maximising their clinic experience. Can I come for one or two days? The clinic program is structured and organised so that different activities are taught each day. However, attendance for one or two days is possible and beneficial. Do you provide feedback to children? Most of the coaches are teachers and all coaches are qualified and give individual and group feedback on a regular basis. Feedback is delivered in a friendly and positive manner. Coaches suggest ways the children’s performance and skills can be improved. Each child is presented with a personal profile at the end of the clinic. These profiles have been individually written by the child’s coach and outlines areas of strength and recommendations where improvements can be made. Can parents provide feedback on the clinics? We welcome feedback from parents and children and all participants are emailed or given an evaluation form at the start of the clinic. These can be handed in or emailed at the end of the clinic. No. All equipment is supplied if required. It is best to bring your own gear if you have it. Do you provide food at the clinics? No food is provided at clinics and there is a strict policy on not allowing children to share food. Children are advised to bring their own morning tea/light lunch and a drink. Do you provide drinks at the clinics? Water is provided for children to fill their drink bottles. Drinks are available for purchase at the clinics. Do you have girl only holiday coaching clinics? Our holiday coaching clinics are mixed but we group girls together wherever possible particularly if the girls are attending as a group signup. Can my daughter play competitive cricket? Yes. Girls may play in mixed teams, in girl only teams against boys and girl only competitions. Clubs offer different options. See Lindfield District Cricket Club (http://ldcc.nsw.cricket.com.au/content.aspx?file=8600|46207c) and North Sydney Juniors Cricket Club (http://www.northsydneyjuniors.nsw.cricket.com.au/content.aspx?file=10646|42790) for examples of competitions available. Do competitions take all day? No. Shorter formats of the game are available, typically lasting only 3 hours. The girls are guaranteed to bat and bowl in every game. Is there a pathway for female cricketers? Yes. Representative cricket is available at the Association level and can lead to State and National competition for professional, contracted players. 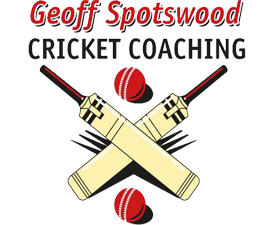 If you have any additional questions regarding our cricket coaching clinics or school holiday programs, please contact Geoff Spotswood direct on 0401 382 409 or send an email.